Mike Kunkis reported that Saturday was the first day of Redding’s first tournament and it was a good day for Chico pickleballers. Lauri Henry and Kathy Kaer won bronze medals as did Mike Burke and Jim Fiack. Rich Gitelson and Mike Kunkis won gold medals. But the MVPs for the day were Joan McCormick and Analiza Merlis who went 5-0 to win their 1st gold medals. Way to go ladies. 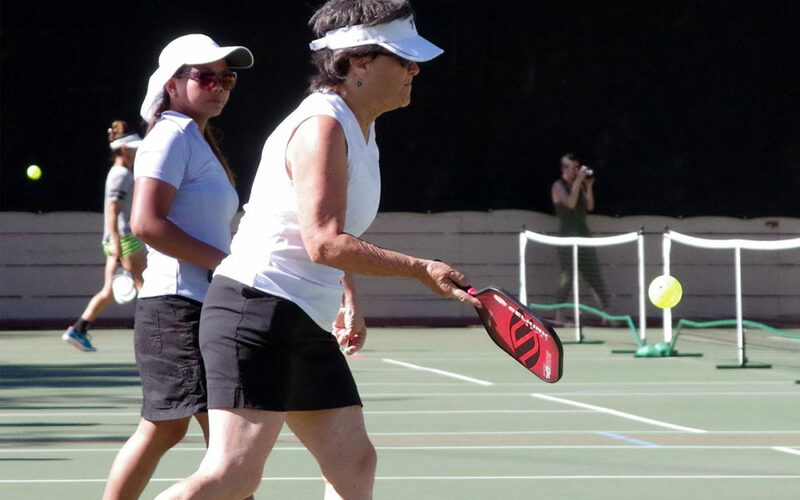 Sunday was another good day for Chico pickleballers in Redding. Kalyn Qouk and Jorge Salas as well as Mary Jacobson and Ryan won gold medals. Lisa and Rich Gitelson won silver. Kathy Kaer and her partner won bronze. The Redding tournament was very well run and there is lots of room to watch the matches. Thanks to all of the players from Oroville, Chico and Red Bluff for their support of one of our local tournaments. Thanks for the updates Mike. Congratulations to everyone and thank you Troy for the great photos. Hi all suhail here. Just wanted to let you know that I’ve been observing our pickleball play. And looks like the playing level has improved tremendously. Just keep working hard keep winning medals. Hey, I have been trying to send out congrats to all the winners in the Redding tourny, without success. Forgive me for being so late. Chico had a awesome group of players. Chico showed, we are On the Pickleball map.